Get a quote for expat health insurance in Slovenia. Moving to Slovenia? Get a moving quote. 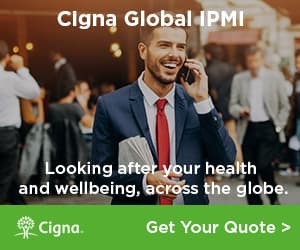 Get a quote for expat health insurance in Slovenia from our partner, Cigna Global Health. An expat in Bled, Slovenia offers her perspective on living as an American in another country, and what she admires about the culture there. Good transportation, food and wine are a few of the amenities she's enjoying as an expat in Slovenia.